Update introduces new levels, vehicles and upgrade opportunities. 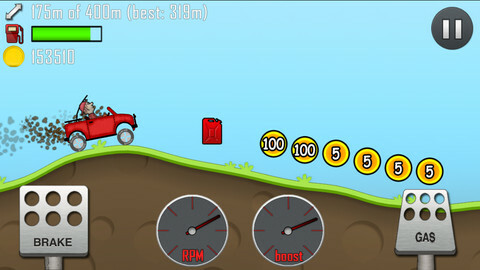 Fingersoft's popular physics racing game Hill Climb Racing has just been updated with two new levels, a motocross bike, additional upgrade levels, and a few performance tweaks. The game was released earlier this month, and has enjoyed huge popularity on the App Store ever since. You can read our take on the game in our review. - Two more levels: Mars and Alien planet. - New vehicle: Motocross bike. - Added "Tap to save" feature to the result screen. - Made Arctic a bit easier. - Fixed the keyboard bug. - Fixed some crash bugs.